Privat Rutayisire and I crossed paths in Kigali, the capital city of Rwanda, where I was backpacking in January! 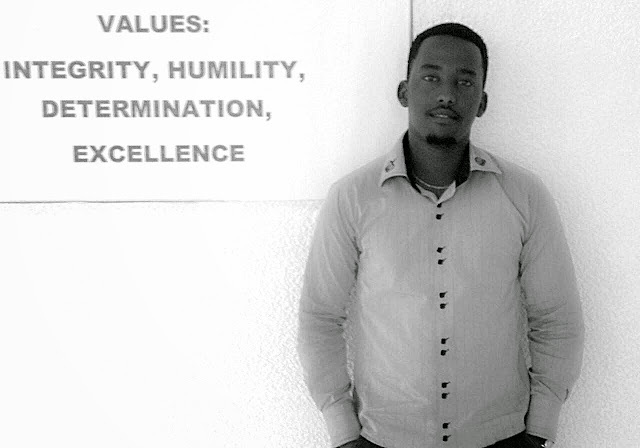 He is a student at the Kigali Independent University and works on-staff at the first and only youth hostel in Kigali – Discover Rwanda Youth Hostel. In fact, it was at this cool backpackers lodging that we met! 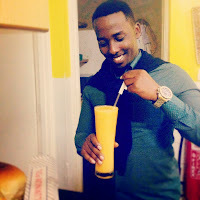 I remember his genuinely kind smile that exuded a warmth and openness which immediately assured me that I'd be meeting some great people in Rwanda. I had no regrets staying at the hostel for my first few days exploring Kigali – it has some truly awesome backpacker vibes, a breath-taking terrace view of the cityscape (great place to chill), fun-loving staff (quite a few of whom I befriended during my two-time stay), reliable wifi, comprehensive resources on tours and maps, scrumptious breakfasts (did I mention pancakes and passionfruits?! ), large mosquito nets for the dorm beds (a must it is), and even camping grounds! It’s a place where you’re guaranteed to meet an intriguing myriad of adventure-seekers, backpackers, volunteer workers and young expats. 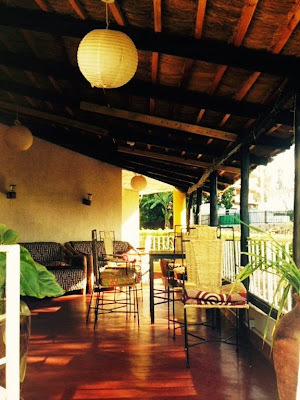 The vibrant terrace chill-zone at Discover Rwanda! Discover Rwanda's rooftop view of the Kigali cityscape! We shared some great conversations during my time in Kigali as we soon discovered that our life stories were both strongly impacted by our mutual faith. I remember the convo took a cool turn when I asked if he went to church. It was my first night in Rwanda and I didn’t know anybody, but I told him that I wanted to visit some local churches. To my delight, he excitedly invited me to join him and Pascaline – another friend also working at the hostel – for Sunday service at his local church community in Gikondo, where he serves. I was stoked to have made a new friend so unexpectedly! Since returning to Australia after onward travels to Kenya and Tanzania, we have kept in touch and he has been super fun to talk to as I invited him to share more of his story and aspirations on Wayfarer By Faith. The mesmerizing "Land of A Thousand Hills". Photograph: Janielle Beh. Despite the difficulties of an often unpredictable journey, Privat expresses his thoughts with candour and courage. During his schooling years, he always had big dreams of becoming a national player in sports such as volleyball and football. In highschool, he succeeded in becoming a football team captain, which is an accomplishment that he recalls with pride. Through it all, even as he presently focuses on opportunities in computer science and business entrepreneurship in Kigali's expanding economy, he says he desires “to be a good example to the next generation so that they can live in harmony by living together and sharing all we have”. 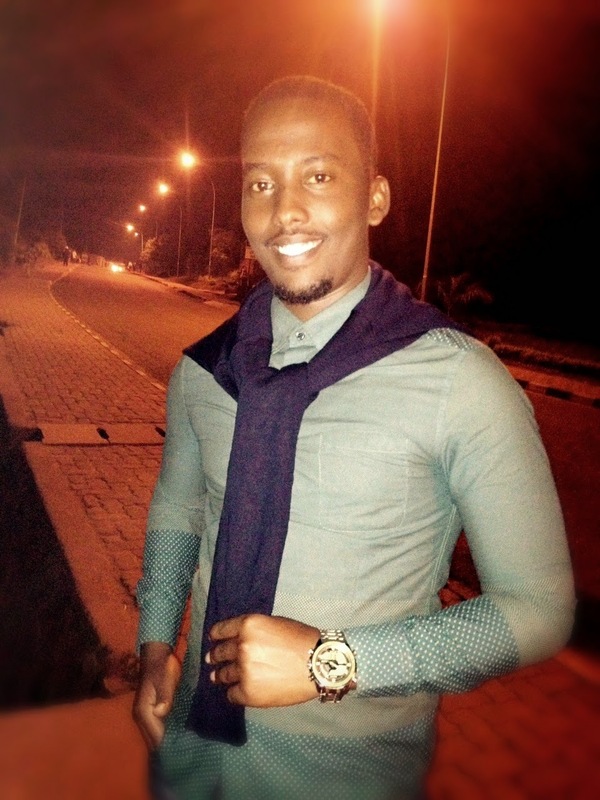 Walking the brightly lit streets of Kigali city centre! Wherever I go in the world, I love to ask those I encounter about the windows of inspiration in their story – the people or experiences that have transformed their way of life or revolutionized their mindset at some stage of the journey. Privat is no exception. In light of the 21st Kwibuka in April, he told me how much President Paul Kagame has been a figure of inspiration to him. “He was committed to stop the genocide against the Tutsis,” and since his presidency in 2000, “put all of his efforts to develop the country by strengthening the educational institutions so that everyone can have access to vital services”. In Privat’s words, President Kagame has “strived for the development of his people and he always is fighting for the peace of his people!” To learn more about the annual commemoration of the 1994 genocide against the Tutsi people, check out stories from these year's Kwibuka 21 – meaning “remember” in Kinyarwanda. President Paul Kagame greeting the enthusiastic university students of Huye. 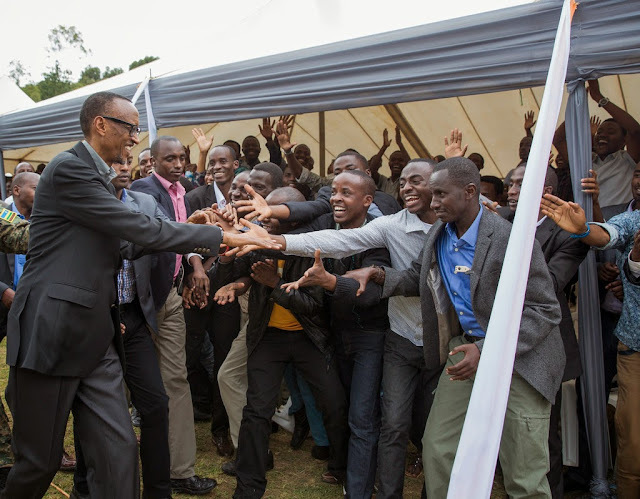 Photograph: Paul Kagame Media. On the note of traveling, Privat and I also talked about exploring this beautiful country famously known as the “land of a thousand hills”. As I traversed rural Rwanda for fourteen days by local bus and boda-boda (motorbike taxi), I saw with my own eyes the endless captivating undulations of its terrain. Every building, village and town seemed to be situated on some kind of mountainous hilltop! 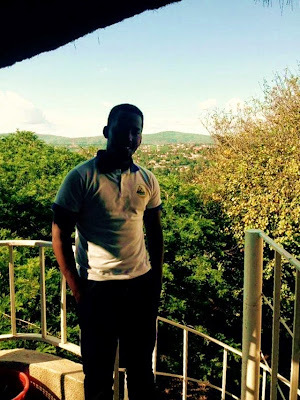 When I asked Privat to recommend his favourite adventure spots, he said, “An amazing place that I love is Akagera National Park! When you step in you start to feel the peace in you. By enjoying the view of different species of animals, acacia trees, and lakes in the park, you realize how God is so hardworking and how amazing this Earth is!” I couldn’t help but smile at the sincerity of his response. Akagera National Park, named after the Akagera River, is close to the Tanzanian border in the east and covers over 1,200 square kilometres of savannah plains, papyrus swamps and rolling highlands. The serenity of the savannah, Akagera National Park. Photograph: Horst Klemm. Also, if you are passing through Rwanda, I'm sure you wouldn't miss the chance to visit one of the country's numerous memorial and historical sites. However Privat says it is a must for travelers to check out the Kigali Genocide Memorial site in Gisozi. I took a 15-minute boda ride from Kacyiru (where I was staying at Discover Rwanda Youth Hostel) to Gisozi. Heading to the Nyabugogo bus central - riding on the boda-boda in Kigali, woot! Every last Saturday of the month, all work, leisure, and most of the public transport comes to a halt between 8am to 11am for Umuganda day – a designated time of community service whereby all able-bodied persons between the age of 18 and 65 participate in volunteer community work that include activities such as street cleaning, gardening, repair of public facilities, or building houses and schools in vulnerable communities. People with professional skills may also offer their services for free – doctors, for example, may conduct examinations free-of-charge. I could hardly believe that such a practice has been implemented successfully in Africa – and with amazing results the past 7 years! On arrival in Kigali, I was no doubt pleasantly surprised at the cleanliness of the city as compared to other developing-world cities that I'd traveled in Africa, Asia and the Middle East. Privat at the Archive Centre of the Kigali Genocide Memorial. If you are planning to visit Rwanda and have any questions concerning travel and volunteer work there; or if you have traversed this beautiful land and have interesting stories or recommendations for others, feel free to drop me a message or share your comments below! Here are some brilliant reads about Rwanda and its history that has influenced my journey, my mission work and travels: 'God Sleeps in Rwanda' by Joseph Sebarenzi, 'Led By Faith' by Immaculee Ilibagiza, 'A Thousand Hills: Rwanda’s Rebirth and the Man Who Dreamed It' by Stephen Kinzer, and 'As We Forgive' by Catherine Larson. In the meantime, Privat divides his week between Kigali Independent University and working at Discover Rwanda Youth Hostel in Kigali. 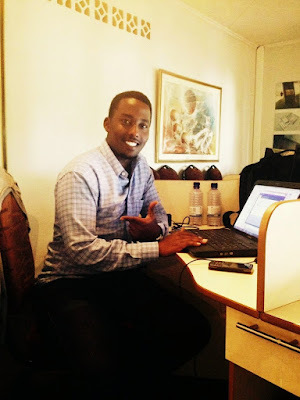 He has a passion for using his IT and business skills to contribute to fresh Rwandan start-up ventures in the near future. 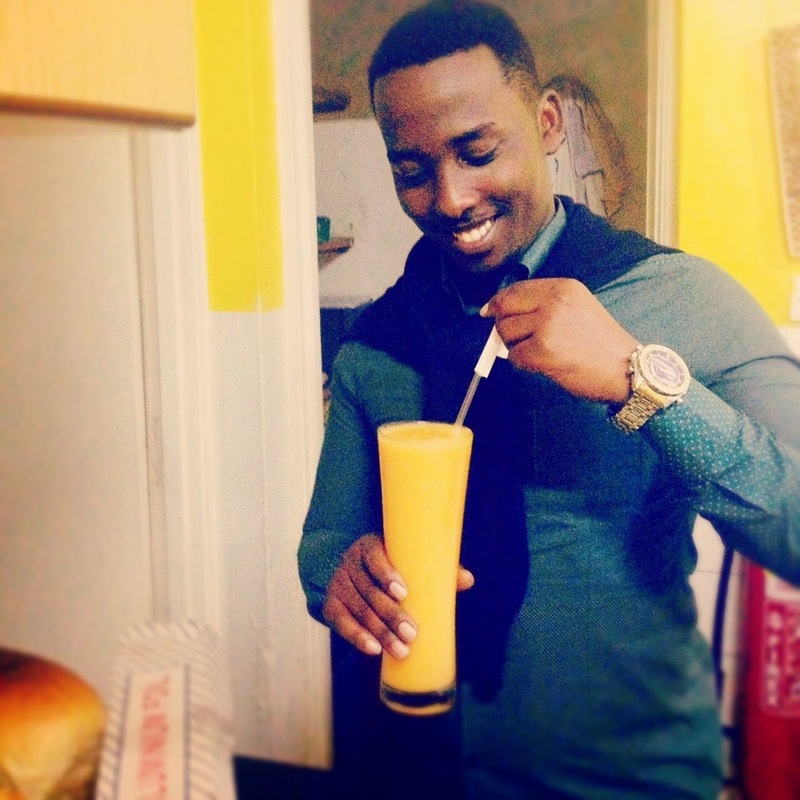 Incredibly, like many other university-educated Rwandans, he speaks four languages fluently – Kinyarwanda (his mother tongue), French, Kiswahili, and English!